I know networks are happy that despite the dry spell that is summer television, they've had a "story" like the death of Michael Jackson to sustain them but even with their continuing attempts to turn Michael Jackson's life into a circus, today's memorial service was a tasteful and uplifting remembrance of the man. Yes there were missteps (Sen. Jackson Lee) and some questionable issues (a $4 million bill laid on the taxpayers of California, a bankrupt state) but all that was overshadowed by the powerful words and tearful good byes. 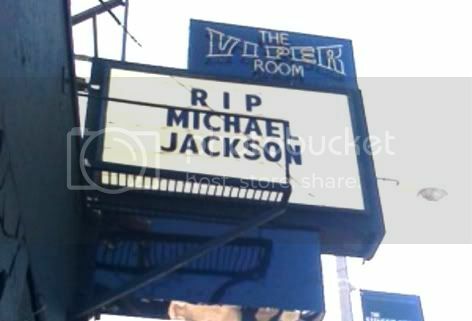 Today I mourned Michael Jackson the man. Not how his music made me feel or what it reminded me of. I mourned a father who left behind three young children. I mourned a man who lived a life that was isolated and haunted by abuse. And most of all a man who despite the best attempts of those around him, maintained his childlike innocence and a dedication to help those around him. That's more than anyboday can say. And I agree that he was "the greatest entertainer that ever lived".